The final step when practising! There are many great books about being a musician and practising out there, in the past I have recommended Tonal and Rhythmical Principles by John Mehegan and The Music Lesson by Victor Wooten. 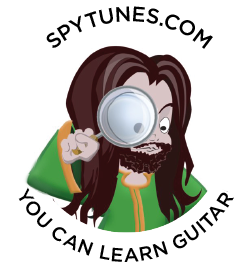 By recommendation from a Spy Tunes student, I’ve just finished another one. This book is for those of you who know your scales and feel ready for the final step, to allow music to flow effortlessly through you! 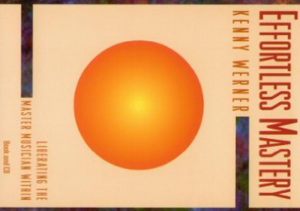 In Kenny Werner’s outstanding book ‘Effortless Mastery ‘, we learn how to truly master an instrument. Below are a few quotes. “Many musicians are so fixated on complex elements that they fail to spend enough time on the basics. As a result, they tend to have all sorts of glitches basic gaps in their playing. For example, if basic chord progressions are not fully digested, you will struggle with most standard tunes. Eighty percent of all jazz standards are comprised of the II-V-I progression, a succession of chords. If you really master that progression in all keys, you’ll find that you can fly through most tunes instantly. If you enjoyed these quotes, invest in Effortless Mastery: Liberating the Musician Within by Kenny Werner on Amazon.